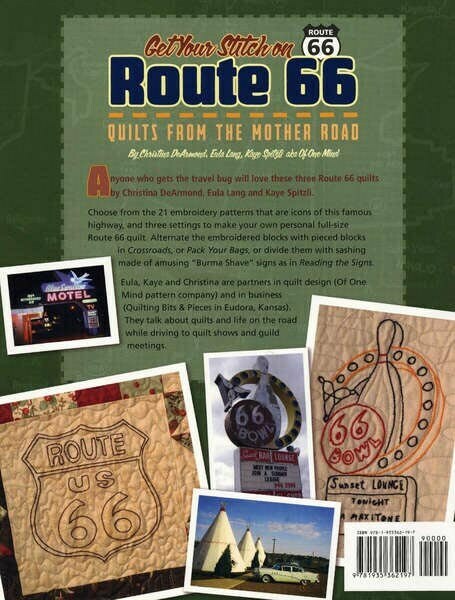 Get Your Stitch on Route 66 - Quilts from the Mother Road by Christina DeArmond, Eula Lang and Kaye Spitzli aka Of One Mind. 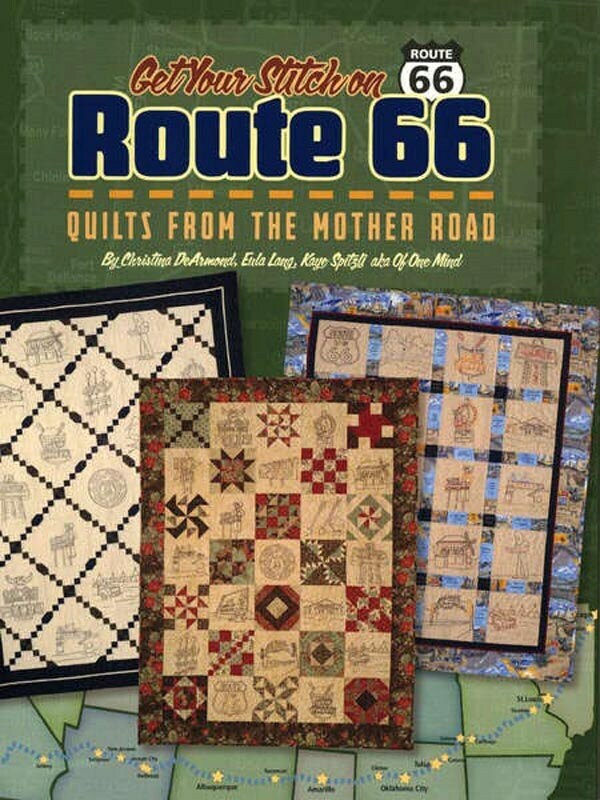 Anyone who gets the travel bug will love these three Route 66 quilts by Christina DeArmond, Eula Lang and Kaye Spitzli. Choose from the 21 embroidery patterns that are icons of this famous highway, and three settings to make your own personal full-size Route 66 quilt. Alternate the embroidered blocks with pieced blocks in Crossroads, or Pack Your Bags, or divide them with sashing made of amusing "Burma Shave" signs as in Reading the Signs.Eula, Kaye and Christina are partners in quilt design (Of One Mind pattern company) and in business (Quilting Bits & Pieces in Eudora, Kansas). They talk about quilts and life on the road while driving to quilt shows and guild meetings. It is a new, unused softcover book that measures 9" x 11". There are 112 full-color pages.